Item # 305810 Stash Points: 8,495 (?) This is the number of points you get in The Zumiez Stash for purchasing this item. Stash points are redeemable for exclusive rewards only available to Zumiez Stash members. To redeem your points check out the rewards catalog on thestash.zumiez.com. 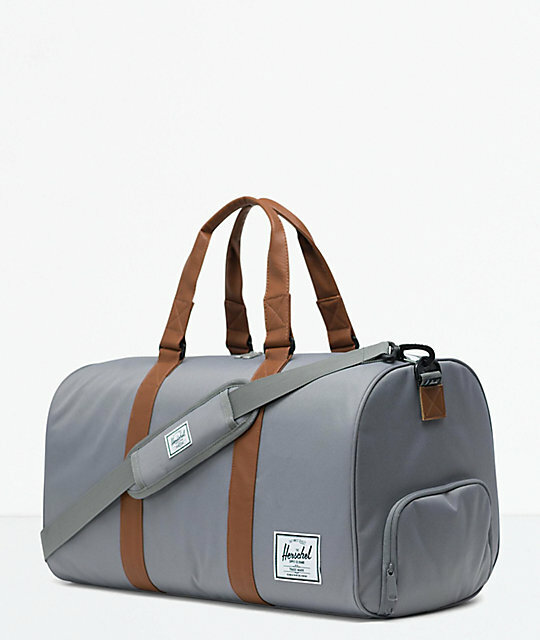 Whether you're heading to the gym or going out of town, the Novel Grey Duffle Bag from Herschel Supply Co. Is equipt for any occasion. This durable canvas bag was designed with a 33 liter carrying capacity offering a sufficient amount of storage space that includes a separate compartment for shoes so you don't get dirt particles on your belongings. 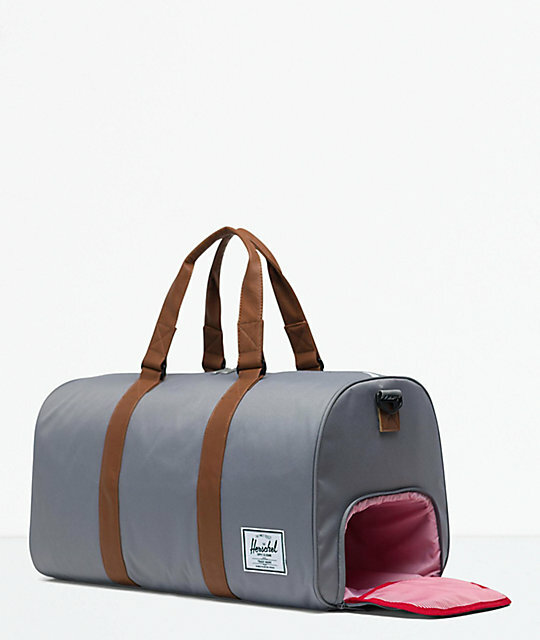 Complete with a large main compartment, internal mesh pocket and a removable shoulder strap, the Novel Duffle Bag is a no brainer. 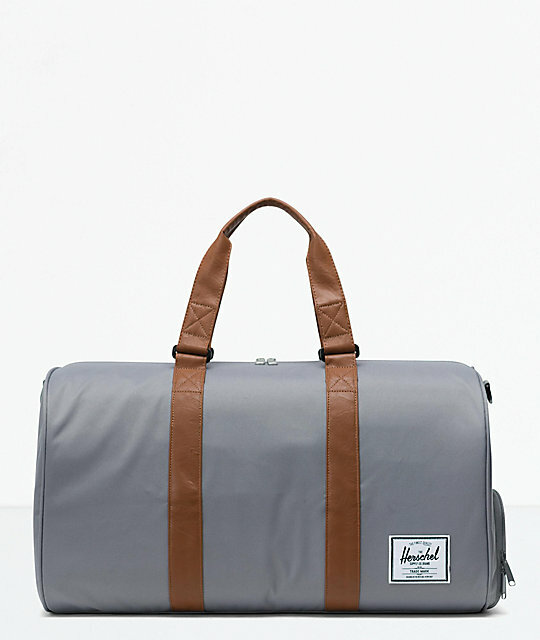 Novel Grey Duffle Bag from Herschel Supply Co. Slate grey canvas exterior with brown synthetic leather details. Separate shoe compartment at side with zip closure. Adjustable & removable padded shoulder strap. Dimensions: 11" H x 20.5" L x 9.5" D | 28 x 52 x 24cm.